Michael pulled a rabbit out of the hat for us! We were almost pulling into PSP Airport in Palm Springs, CA at 5:30AM to catch our flight to LAX Airport in Los Angeles, CA en route to Lihue, Hawaii. We received a text from our airline informing us the flight was delayed for 3 hours due to maintenance issues. We contacted the airline representative to review our options, knowing we would miss our connection. The best they could do for us was put us on 4PM flight out of LA where we had to relinquish our First Class Tickets for Coach? Almost in jest, we asked Michael if he could drive us to LAX in time to catch the original 8:30AM flight? Michael told us it would be tight, but barring traffic jams he could get us to the airport by 7:30AM at the latest. We decided to give it a shot after clearing it with the airline - and we made it to LAX by 7:15AM!!! Thanks Michael for your versatility and exceptional client service that got us to Hawaii in style and on time for a leisurely afternoon on the beach. I doubt you would find many private car service guys like him who would be willing to upend their entire day/morning plan and schedules for the satisfaction of their clients. Arranged car service for my boss and her family and Michael was excellent!! Best customer service I've experienced in a long time. He anticipated my questions/concerns before I did, was prompt with responses and was just on it! On time, knowledgeable, courteous, spotless vehicle, excellent and safe driving. I recommend Simons Private Car Service, Inc. highly. This is Customer Service at it's BEST! Thank you Michael - we had a blast at the Desert Trip Concert Event! 5 Star Service - I can't think of anything to improve, Outstanding! Michael - You were Great! Courteous and always on Time!! Excellent vehicles. You are a go-to-guy whenever we need car service. Thanks Michael !!! Thanks so much Michael and thank you again for taking great care of our family! It was a pleasure....Thank you again for your services and see you next time! I can't thank you enough for taking such good care of my girls as they head to Coachella. It was such a relief to know that after their flight out of JFK was delayed for over two hours that you would be waiting for them in a comfy and beautiful SUV, especially at 2am their time. You have been a pleasure to talk with each and every time as I was organizing the drive...Will definitely call you again next year! Thanks again. We used Simon's Private Car Service to take my Mom from Indian Wells to San Diego where my father was being treated for a medical emergency. Michael was professional, respectful and took wonderful care of my Mom in a very stressful situation. He treated her like family! I can not say enough about Michael and his company! Thank you! The company I work for had booked the car service for me. Not only was everything done professionally but Michael advised me through his local knowledge on travel charges which saved me great amount of time. Great customer service! Thank you Michael! You are definitely a first class business man. I will continue to highly recommend you! I want to thank you for the WONDERFUL service provided by Daniel. He was absolutely great! I had some difficult appointments in L.A., and I was definitely not looking forward to the Monday trip. However, Dan provided the best possible service, and his steady, friendly temperament was a real blessing for me. I would be happy to recommend your service and Dan specifically in the future! Thanks again, Barbara. Thanks again for doing a fantastic job. We've used Simon's Private Car Service for nearly 5 years on a regular basis. They continually provide excellent and timely service. We're also very impressed that this is a family run business. We would not hesitate to recommend their services to anyone and will continue to do business with them in the future. I am a travel agent in the Indian Wells, CA area and use Simon's Private Car Service, Inc. frequently. I have many satisfied clients that book services with Michael Karkenny over and over again. I especially appreciate Michael's genuine kindness to my customers, and his dependability is AAA+! Thank you for the Great Service! We will see you again soon. 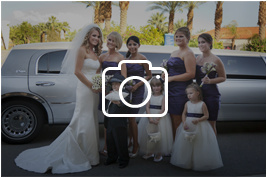 We recently ended a limo service for travel between Palm Desert, CA and Los Angeles, CA. The service we contact originally was busy and recommended Simon's Private Car Service, Inc. We dealt with Michael Karkenny who serves as President & CFO and Driver. The service was excellent!! Very professional. Vehicle was excellent!! We made two trips to LA. Driving was excellent on both occasions; we made comfort stops at clean and pleasant facilities. Driver was clean, careful, courteous and thoughtful. Knowledgeable about getting around LA / Beverly Hills / LAX. Could not ask for more! Rick Rayford was very complimentary of the service and we will be using your company again in the future! I am a concierge at a local country club and have been calling on Michael Karkenny for 6 years now. He has never disappointed. I trust him to take the very best care of my clients, whether it's to transport them on a long journey or a last minute local service. I know without a doubt that Michael will be prompt, professional and kind, going out of his way to provide comfort for travelers of any distance. He has proven this over and over again, as my clients return with glowing reports every time! Simon's Private Car Service, Inc. is the most reliable and professional company I have worked with in all my years of service industry(30 years) I can always count on Michael - he's the one I would trust with my own family. Michael...it's definitely a reciprocal pleasure! I appreciate your Service/Assistance/Professional Conduct...you run a great business! Thank you for being so efficient and being on time and your driver Michael who really knows how to handle the vehicle. I was really impressed! Thank you so much Michael. The Senator appreciates everything you do so much! And I do not know how I would do my job without you guys. THANK YOU! No I should be thanking you tremendously, I am so grateful for your care with Mr. Johnston and remembering to send me the receipt most helpful. Thank you for the service you provided for me in Palm Springs. Very pleased with both rides. A pleasure to meet your father Thursday Night. I do not get to Palm Springs often, but when I need a car service, I will call you again. Dear Michael, Thank you for the absolutely spectacular service you and your team provided Cyndi Lauper and her entourage over the weekend of the AAP EUTS Gala! You all were a joy to work with and we heard nothing but compliments. We look forward to working with you again very soon - many Thanks! Hi Michael ~ thanks for the receipt. Tom Faranda said you did a fantastic job and he will both use you again and recommend you! We used Simon's several times in the Palm Springs Area. Their Service was outstanding, prompt, and the vehicles were spotless. Very easy to work with and friendly drivers! I would highly recommend their service to anyone. Thanks Michael - much appreciate the quick response and the recommendation. I am sure we'll be coming back to Palm Springs again soon, and won't forget your very professional style! Lisa...I like to thak you for your driving to the Airport, you are a great DRIVER! Also thank you very much for offering me to wait, until it's sure security was not giving me any problems with my luggage. THAT was very kind of you!!! But most important to say, we had such a nice conversation during the ride- you are a remarkable person! Michael, I want to thank you for you and your team's assistance during our Corporate Event- everyone had a fantastic time and we very much appreciate your attention to detail in the transportation aspect of the visit. Hope that we can work together again soon on another event! Hi Michael. Everything went perfect. I wrote in my travel journal that you started our trip off in great style with your winning ways! Great stories...it is true! We will get a hold of you for our next trip. it was you who brought me home! Thanks Again- and YES.... when ever I am asked to refer someone, it will be YOU! Thanks again. Had a Wonderful ride with Lisa. Asking you to drive me felt so personal and comfortable - thank you for that feeling. Thank you for your Service! i will definitely recommend you to friends and family! Thank you Michael. I really appreciate your taking care of the transportation for me. I was able to relax knowing that you(or someone you designated) would be there and was there to pick me up at the airport and again at the hotel for the return trip. The Driver you sent was knowledgeable about the area, polite, and helpful. Thank you again! Just a short note of thanks for the seamless car pick-up & service yesterday. Our driver, Michael was excellent & your support outstanding as usual! Michael -- You are Welcome! Thank you for making everything flow so smoothly and looking forward to seeing you next time, perhaps with the family in town! My Experience has been just Great! Called Company and they were very accommodable to my needs. Would definitely recommend to anyone in need of a Private Vehicle! Excellent Service from the Airport! On time, friendly and prepared! Will definitely reach out when in the Area! Michael - you are the Best! Vehicle was on time, clean, and thank you for accommodating the extra stops my friends and I needed! Will look you up next time coming your way! SUV was Comfortable, Clean and punctual! Was about 10-15 minutes early. Will definitely call in the future when needed! You were terrific Michael and everything worked perfectly! Thank you so much. We do make regular trips out to the desert, so count on me to be calling you again soon! Hey Michael - Made it back safe and I truly appreciate the outstanding service one again! We will definitely keep your number for the next time we are around the valley. Take care. Thank you so much for giving the "kids" a great experience! Thanks for going the above and beyond all expectations. We will definitely use your services again when we need a great ride!!! Thank you again for making a very long business day much more pleasant. The round-trip to LA could have been grueling, but with you behind the wheel of the Town Car, it was relaxing and stress-free. I will definitely recommend you to all my friends! Hello! I just spoke with Maureen today about her ride. She was so impressed with you. She said it was so sweet that you brought her blankets so she could be comfortable and get some rest. Thank you for taking such good care of her! Everything was fantastic and absolutely perfect; all had a great time last night. Thank you very much for accommodating us on such short notice and should we be in need of a limousine again you can be assured you will have our business! Hi Michael! Thank you SO MUCH for this service! It is rare that I can do anything special for my husband!! Will definitely call again in the future! Hi Michael! Thank you again....it was a great night! My daughter was so suprised and so happy! Thank you again for your "Outstanding Service!!" Dear Michael, I am now at home and I just wanted to let you know how pleased we were in your service. Everything was "On Time" and as "Advertised." If we ever get back to your area, we'll surely use your service. Best of luck with running "Dad's" business that he has placed in your able hands. Michael: You are one in a million! Your personality definitely adds to the experience when a special event comes along. I will always entrust my family and friends to you- transportation is one thing, but knowing the driver genuinely CARES for the passengers he's responsible for- that is what really matters. I will recommend your service to anyone who is looking to make a memory! What a fun evening we had and thank you for everything... you were great! We will definitely recommend and refer other friends to you!!! You were on time, polite, friendly, and professional!!! The limo was very nice too!!! We like the Silver!! Thanks again!!! And I'm sure we will see you again in the future! Thank you so much for everything! Your Company is truly a class act, so personable & professional. I will definitely call you the next time I need a limo service. Simon's Private Car Service, Inc. is an outstanding choice for those needing a sedan service in the greater Palm Springs area. From the ease of booking online to the simple fact that most times Michael answers the phone when you call. The prices are reasonable, the vehicles are spotless and the service is outstanding! As a busy DC association executive I travel widely while watching my overall budget. Simon's Private Car Service, Inc. is a refreshing positive change in a world increasingly dominated by mediocrity. Safely delivered - "Awesome" service and I won't forget! I just wanted to thank you and your father Simon for helping make our whole weekend a great time. Your dad is a great guy and the various people he met on different nights were all thoroughly impressed with the classy ride and his professionalism and generousity. The whole weekend was a blast. Thanks again, take care. I just wanted to say "Thank YOU!" so much for providing such excellent transportation services for my father. Not only did you get him safely from La Quinta, Ca to La Jolla, Ca on only a few hours notice, but you did it with extreme care, understanding of a difficult situation, and kindness, which showed your dedication, commitment to customer service, conscientous attitude, and overall professionalism. Words can't express how grateful my family and I are for your excellent assistance. Thanks a million! I wanted to send you a personal note to thank you for your extraordinary generosity in meeting us at the airport on July 20 and for Michael's picking us up at the hotel so early this Monday. You both made our transportation immeasurably easier, especially since my mother-in-law is in such fragile physical condition. With profound gratitude, I am. I was worried about finding and booking limo services online. I was even more worried after I called several other limo services from this online search because they were very rude to me over the phone. However, I was pleasantly surprised when Simon's Private Car Service, Inc. was professional, kind, and attentive. Michael was aware of how special and important prom night was to my daughter and he treated her and her friends exceptionally well. I am extremely thankful for all he did. I would absolutely recommend and refer this limo service provider. Hi Simon and Michael, Just had to say again how much I enjoyed meeting you. Your business is first class as are the two of you!